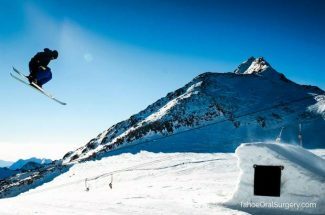 Trauma to the face due to collision is a more common winter sports injury than many people are aware. Click here more more Healthy Tahoe coverage. Condition: It is important to start with ruling out a head concussion. Symptoms of a concussion include headache, dizziness, nausea or loss of consciousness. Signs of a concussion include change in vision, hearing and balance, along with memory, concentration or ability to recall information. If a concussion is suspected, or if the rider sustains significant damage or is in critical condition, dial 911. It is important to seek medical care immediately. Assessment: Once a concussion is ruled out, you can move on to a facial and dental assessment. Facial assessment includes looking for soft tissue injuries such as lacerations (cuts), bruising and swelling. A large facial laceration should urgently be evaluated and closed by medical professionals. Bruising and swelling may simply be soft tissue injuries or could be indicative of bony injury underneath. A bigger fracture of the tooth, down to the yellow dentin or into the pink and often bleeding pulp of the tooth, often occurs. Immediate care should be taken to stop the associated bleeding. Next it is best to get in touch with your dentist. 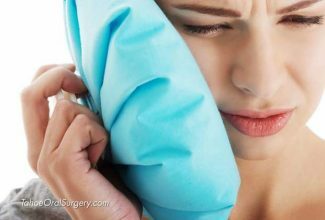 If the injury happens outside of a time when you can see the dentist, contact your dentist for pain pills and antibiotics. Treatment by your dentist will depend on the severity of the injury. 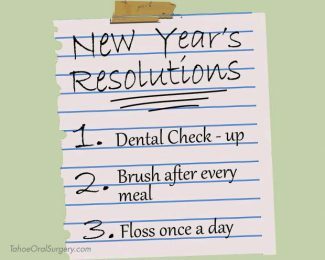 This may include a relatively simple filling, a crown, a root canal or in very complicated fractures, removal of the tooth and placement of a dental implant by an oral surgeon. First thing: find the tooth. Pick up the tooth by the crown (the whiter, shiny part) — try not to touch the root! If you can’t place the tooth back into the socket store in milk or ask the patient to spit into a cup with enough saliva to cover the tooth completely, or store the tooth in the patient’s cheek until you can get dental care. Trauma to the face due to collision is a more common winter sports injury than many people are aware; therefore, a helmet, especially a full-face helmet, should be a mandatory piece of sports equipment. 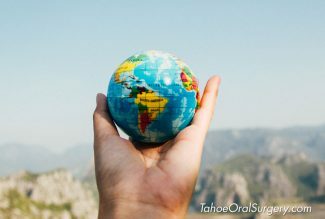 If dental trauma occurs, an accurate assessment, diagnosis and appropriate treatment are the keys to avoiding long-term dental complications. 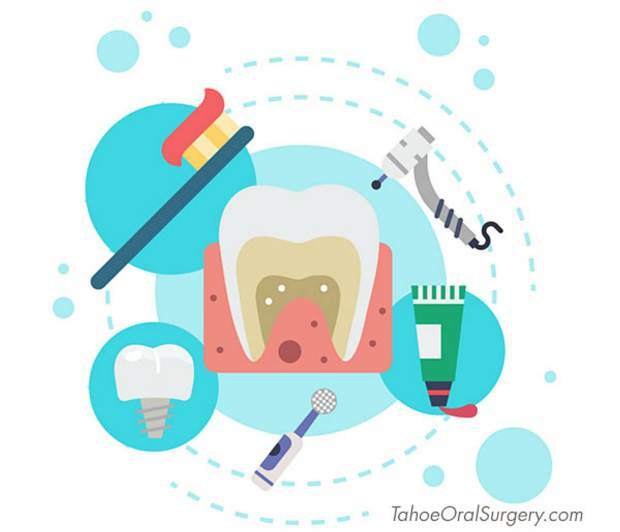 If you do sustain a dental injury, our staff at Tahoe Oral Surgery and Implant Center are here to help. We wish you and your family a safe and happy winter recreation season.